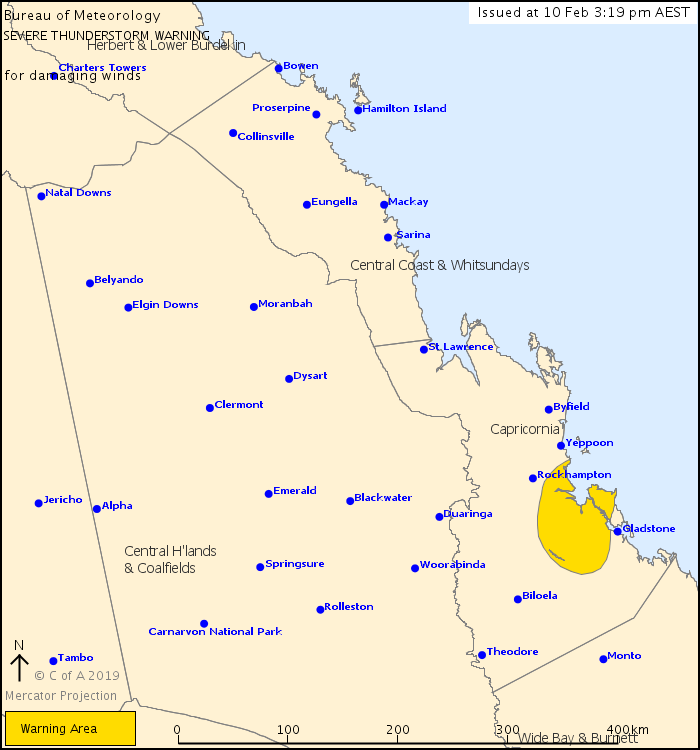 For people in parts of Capricornia Forecast District. Issued at 3:19 pm Sunday, 10 February 2019. Severe thunderstorms to the south and west of Gladstone. Severe thunderstorms are likely to produce damaging winds between Rockhampton and Gladstone over the next several hours.